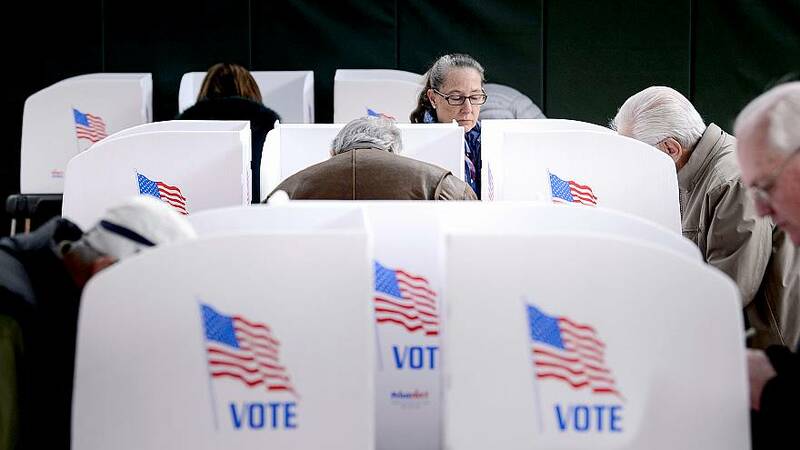 WASHINGTON — A federal assessment found no sign that foreign tampering had any effect on the results of the 2018 midterm elections, according to a joint statement by the Justice and Homeland Security Departments. Their findings were reported to President Donald Trump on Monday in a classified document. In a statement made public Tuesday, Acting Attorney General Matthew Whitaker and Homeland Security Secretary Kirstjen Nielsen said they found "no evidence to date that any identified activities of a foreign government or foreign agent had a material impact on the integrity or security of election infrastructure or political/campaign infrastructure used in the 2018 midterm elections." They said their conclusion was "informed by a report prepared by the Office of the Director of National Intelligence." U.S. intelligence agencies said last fall that they detected a persistent level of attempts to hack into state election systems, but not to the degree noted in 2016. And they said at the time that none of it was attributed to Russia or China. Director of National Intelligence Dan Coats told a Senate hearing last week that the intelligence community believes foreign entities will view the coming presidential election as a tempting target for hacking and meddling. "We expect them to refine their capabilities and add new tactics as they learn from each other's experiences and efforts in previous elections," Coats said. On Monday, the FBI, Homeland Security, and U.S. intelligence agencies hosted a classified briefing to discuss the 2020 election. More than 150 people attended, including election officials from 40 states, a government statement said.